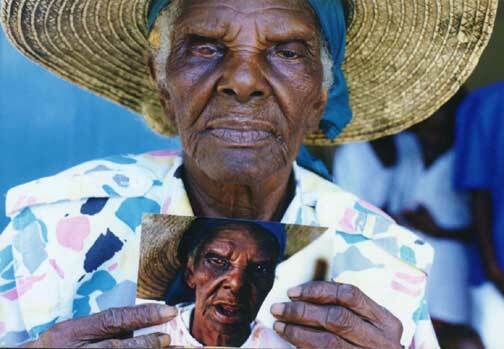 I have taken many photos on mission trips to Haiti. On one return trip, I took along some copies as gifts for those who had been so kind as to let me photograph them. One elderly woman was overjoyed to have the photo, but could never believe it was a picture of her. She lives alone and is helped by the mission with food brought to her hut since she was abandoned by her family.